In this edition, we have Tabitha Jones whom we recently had on our podcast and if you have listened to her podcast, you would have heard that she has taken 20 seconds of her swim time per hundred. We are going to compare the very first video that she had with us when she first attended our clinic. We will see on the video some differences that allowed her to take off 20 seconds. What we like to get to, is the position where her fingers are lower than the wrist, the wrist is slightly lower than the elbow as you are entering and extending forward. This allows you to start the catch and start pressing back on the water a little bit sooner as opposed to pressing down the water. 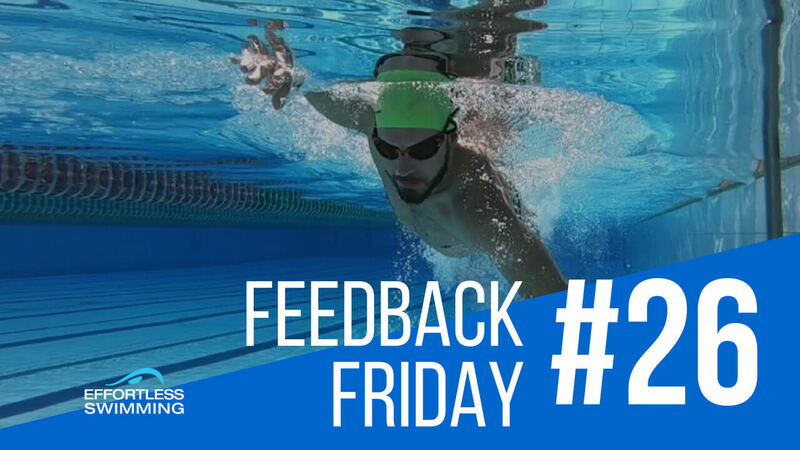 We use the analogy of swimming on the set of train tracks in line with your shoulders and every time you enter and extend forward, you are following those train tracks. 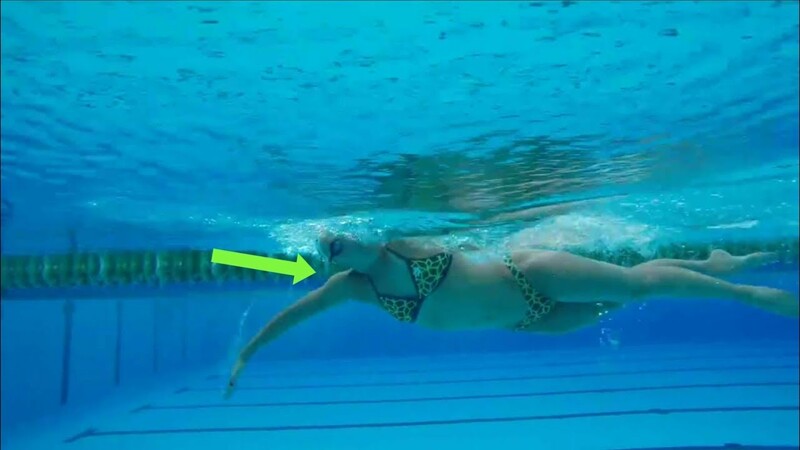 On this video she was able to keep her body line much more stable and still and that nice and stable core and body that what gives you the ability to apply pressure in the water because if your hips and your body is moving side to side, it is much harder to generate propulsion in the catch and pull through. The kick is slightly narrower a kick and the legs are a little bit straighter in the most recent video. Not a huge difference but enough to just reduce the amount of drag that she is creating. These are the three key points we have changed. It takes time, it takes hard work, she has done a lot of training and been very consistent with her swimming. These changes don’t come without the hard work and the consistent regular swimming. Previous: Can You Improve on a 51-minute Ironman Swim?